Born and raised in rural North Carolina, she Married Jim Lambert in 1963 and Spent 20 years traveling the world as an Air Force wife and mother. She and Jim retired in 1995 and became White Mountain Camps hosts. They loved meeting other retirees and campers while living and enjoying Arizona’s high country. She had 6 grandchildren and 8 great grandchildren. 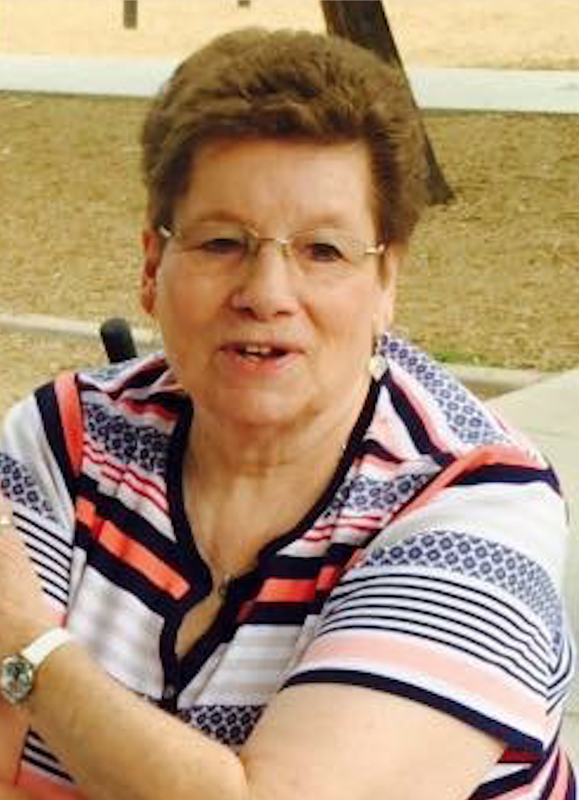 She always had a crew of Bingo Buddy’s that enjoyed going to Fort McDowell, hollering “Oh Sh*t” and playing slot machines. She was first to laugh, first to curse (when someone else yelled BINGO). She enjoyed her yearly Vegas trip. Part of her heart is probably still in a slot machine. Lois raised many barky dogs. She and Jim owned Chihuahua’s from 1978 until she passed, leaving her beloved “Gingy” with their 40 year friends Burl and Joyce. She always knew where to buy Pepsi Cola and Dasani water for the best price. She was a waitress for many years, working at Nachos, Lil’s Ranchway and Perkins. She loved her Diamondbacks Baseball Team. Never missing a game. She left behind a hell of a lot of stuff to her daughter and sons who have no idea what to do with it. So if you’re looking for two large recliners, A Bag full of Bingo dabbers, an Android phone (worn out playing Candy Crush), You should wait the appropriate amount of time and get in touch. Tomorrow would be fine. We sure love and miss you Mom. Please join us in a Celebration of Life for Lois. Saturday, June 17th from 12:00-3:00 at The Resort RV Park. 1101 S Ellsworth Rd. Mesa, AZ 85208. Please text or call Ken at 602-527-5488 for the gate code. Lunch will be served.